This entry was posted in Best Lenses for Sony and tagged best lenses on July 16, 2017 by admin. Sony Alpha a99 II is Sony’s latest 42Mp full-frame, high-resolution camera, achieving an outstanding overall DxOMark score of 92 points. 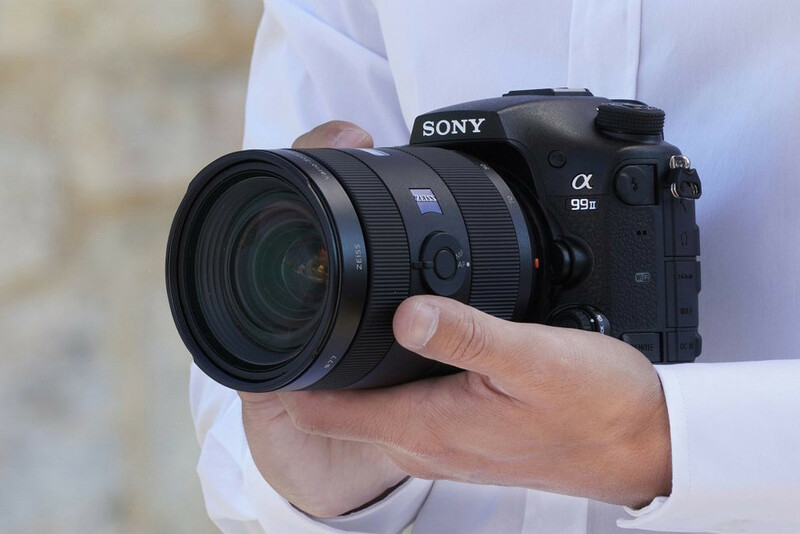 Paul Carroll at DxOMark has just tested a number of the prime lenses and selected the best prime lenses on the Sony a99 II. See the result below. This entry was posted in Best Lenses for Sony and tagged Sony lens rumors on December 21, 2016 by admin. Several days ago, DxOMark posted Best Prime Lenses for Sony a7R II, and today they posted best zoom lenses for Sony a7R II. 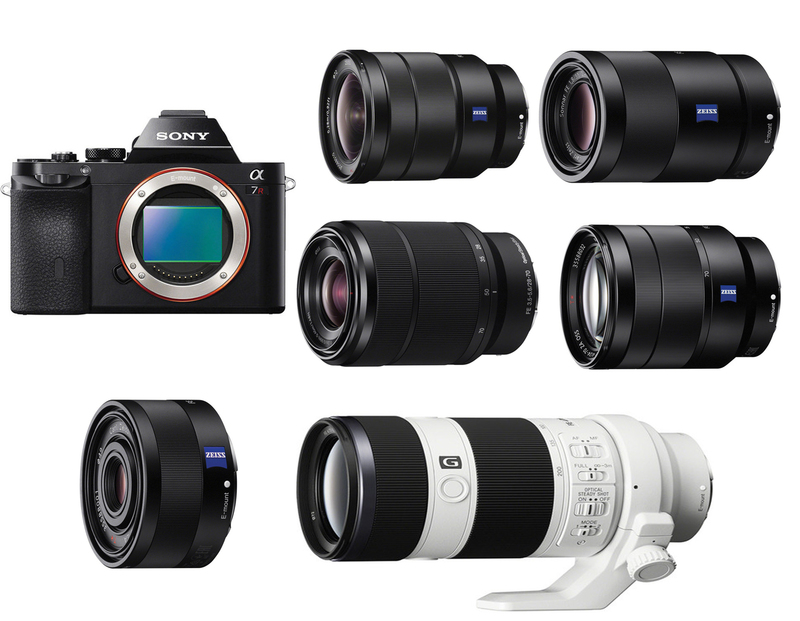 They have tested a total of seven zoom lenses on Sony A7R II (Amazon/ Adorama/ eBay) and have grouped them into the top three standard and top three telephoto zooms for a more in-depth analysis. It is strange why they didn’t test the new released Sony FE 70-200mm F2.8 GM OSS (Amazon/ B&H/ Adorama). see the details below. This entry was posted in Best Lenses for Sony and tagged Sony lens rumors on September 13, 2016 by admin. In 2015, Sony released Sony A7R II (Amazon/ Adorama/ eBay), featuring a whopping 42.4Mp resolution, 5-axis in-body image stabilization, 399 on-sensor phase detection autofocus points and 4K-video capture. It got the best camera of 2015. DxOMark now tested a total of 17 FE mount lenses on Sony a7R II including prime and zoom lenses, covering focal lengths from wide-angle 21mm to super-telephoto 300mm. 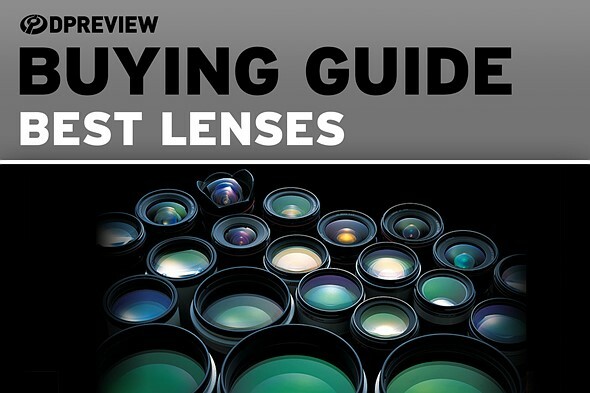 If you are looking for some prime lenses for your Sony a7R II, see the details below. This entry was posted in Best Lenses for Sony and tagged Sony lens rumors on September 8, 2016 by admin. This entry was posted in Best Lenses for Sony and tagged best lens for sony A6300 on August 30, 2016 by admin. This entry was posted in Best Lenses for Sony and tagged best lens for sony A6300 on March 21, 2016 by admin. 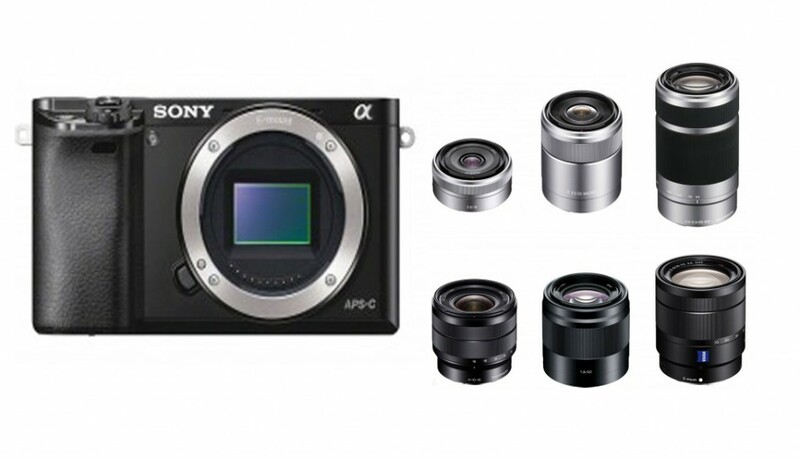 The Sony Alpha 7 is the first full-frame E-mount mirrorless camera in the world. The A7R has a 3-inch, tilting LCD, XGA OLED electronic viewfinder, Multi-interface (hot) shoe, Wi-Fi with NFC, and 1080/60p video recording. Sony has produced a new line of FE-series lenses for Sony A7/A7R. 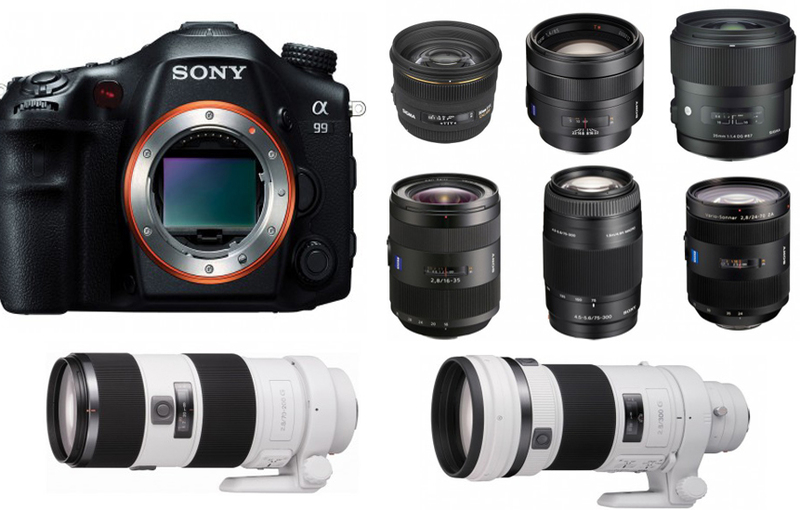 Below are best lenses for Sony A7/A7R. This entry was posted in Best Lenses for Sony and tagged Best Lenses for Sony A7 / A7R, Sony A7 / A7R on December 5, 2015 by admin. The Sony Alpha SLT-A99 (replacing the A900) is a Mid-size full frame DSLR released in September 2012. It has a 24MP 36x24mm CMOS sensor, a fully-articulated 1.2M dot 3″ rear LCD and a 2.3M dot OLED electronic viewfinder, so Sony Alpha A99 is one of the best full frame DSLRs. 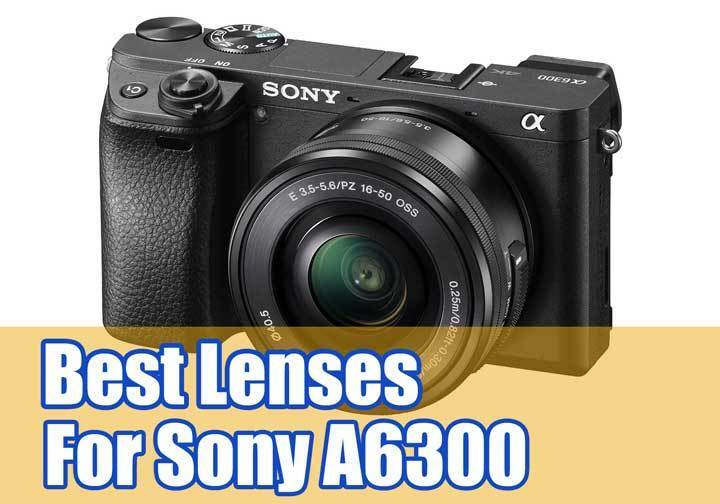 Below are the best recommended lenses for Sony Alpha A99. This entry was posted in Best Lenses for Sony and tagged best lenses, Best lenses for sony a99, sony alpha a99 on December 4, 2015 by admin.